The weather outside may be frightful, but The Gwen's holiday pop-up is downright delightful. 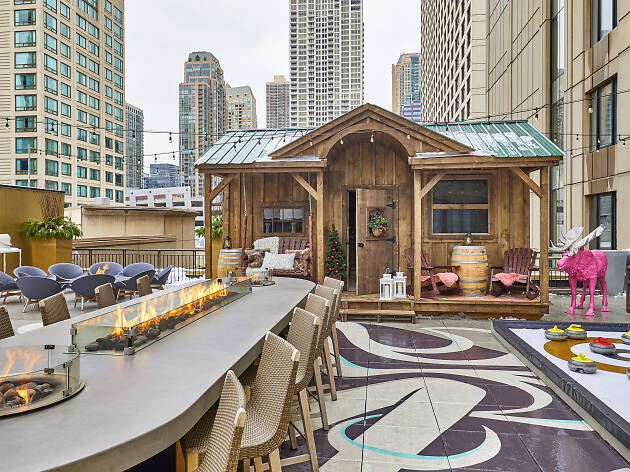 Located on the hotel's fifth-floor terrace, Curling Cabin is a bar within a bar that includes seating for up to 15. Once inside the cabin, which is outfitted with ski-lodge decor, you and your friends can order hot bites and sips. 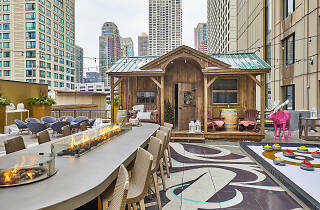 Reserve the cabin or enjoy the bar's outdoor curling rink while sipping a warm cocktail ($25 per person for 30 minutes). Both experiences can be booked through OpenTable.